Home » Blog » Coffee 4 Craig comes to Cross Street! Coffee 4 Craig comes to Cross Street! 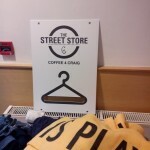 I have been very honoured to meet and witness in action Coffee4Craig, a homeless support charity. 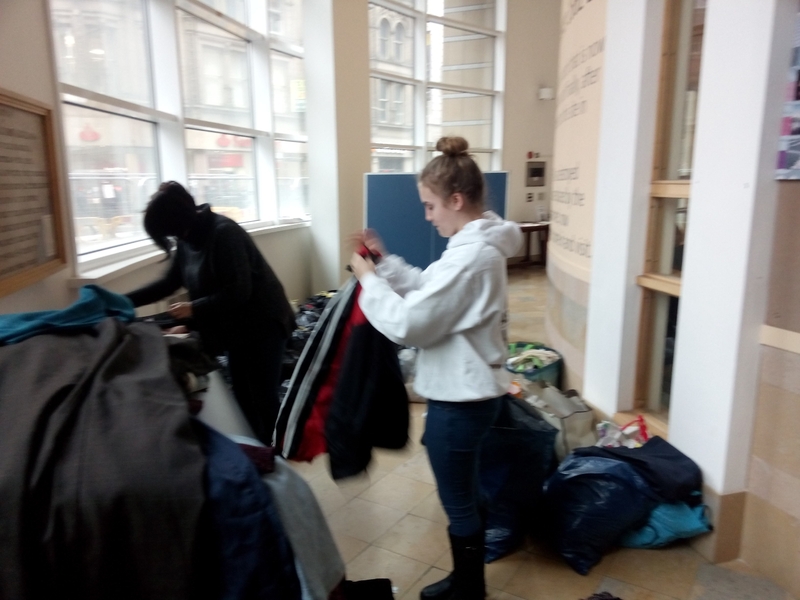 Today C4C has provided clothing in a “Street Store” – sorting donations for Manchester’s rough sleepers. 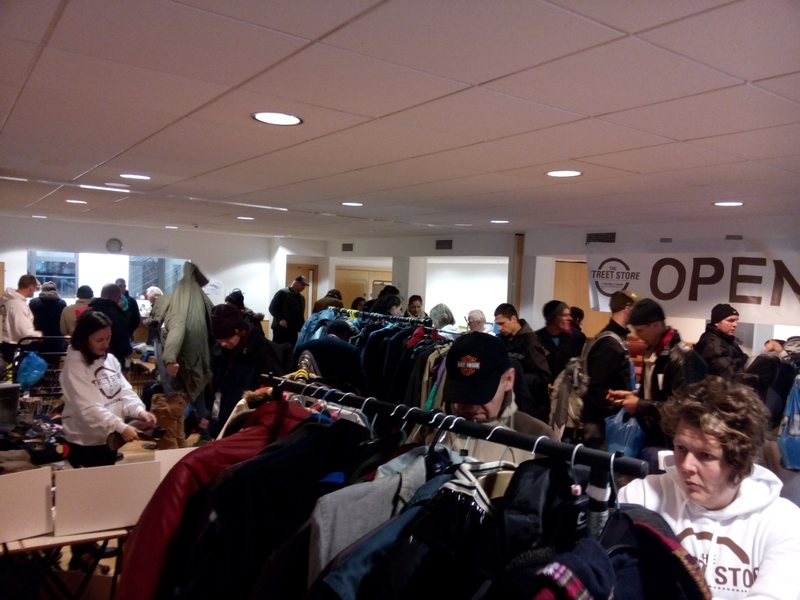 The homeless coming into the chapel are given tickets which may be redeemed for items – a system that ensures fairness and choice. We may forget that along with physical and emotional stresses, the homeless often lack the opportunity to make choices. 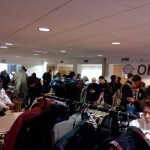 The atmosphere has been electric and friendly, with people excited and willing to share and talk. 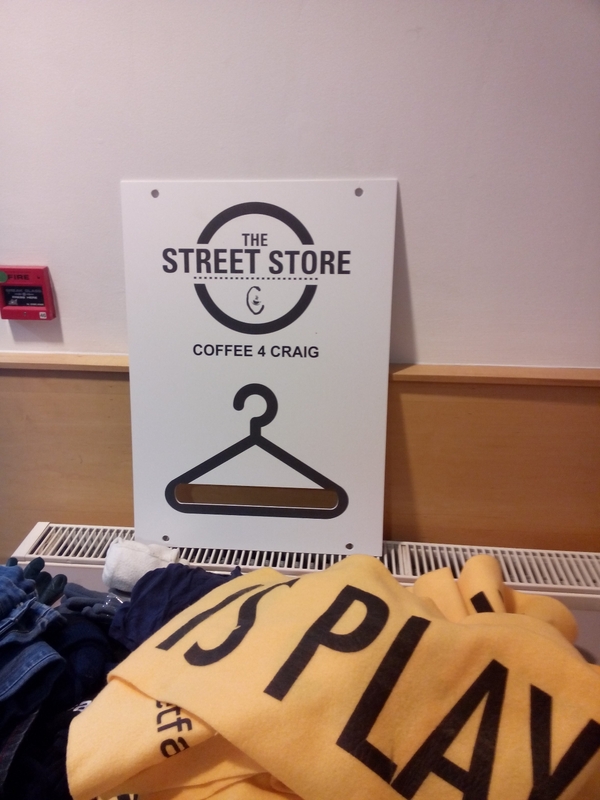 I thank Coffee4Craig for allowing Cross Street to be part of this endeavour. Thank you for an amazing venue, fantastic supportive staff and such great write up. Cross St and Street Store 2016? ?